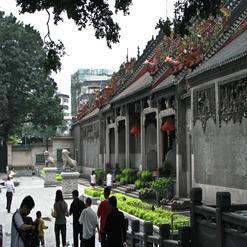 Located in downtown Guangzhou, it is a sculpture park is largest theme park in entire China. Divided into four major parts namely Yangcheng History Sculpture Part, Forest Part, Chinese History Part and Sculpture Showplace, visitors get to experience sculpture as well as garden art here. Moreover, the numerous sculptures in the park educate people with their rich contents along with portraying their magnificence.